More than 20,000 people in the U.S. are diagnosed with diffuse large B-cell lymphoma, the most common type of non-Hodgkin’s lymphoma each year. Mayo Clinic is the first site in the country to offer a genetic test to help guide diagnosis and treatment of patients with diffuse large B-cell lymphoma. The Lymph2Cx test helps determine where the lymphoma started, assigning “cell-of-origin” groups using a 20-gene expression-based assay. Gene expression profiling is the measurement of the activity (the expression) of many genes at once. It is the first test to go into the Mayo practice from the new Mayo Clinic Molecular Diagnostic Arizona Laboratory. 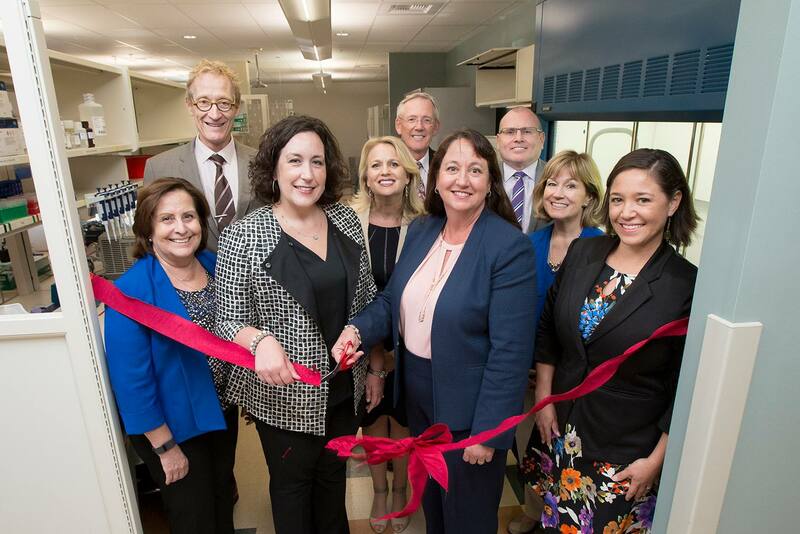 The lab enables Mayo physicians and researchers to access new and existing tests rapidly to improve patient care. Mayo Clinic team members celebrate the opening of the Molecular Diagnostic Arizona Laboratory. 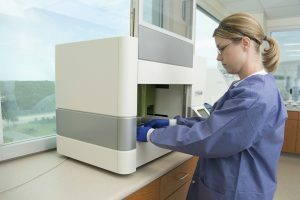 Read the news release on the genetic diagnostic test for patients from the new Mayo Clinic Molecular Diagnostic Arizona Laboratory.